Created entirely with Bob's Track Builder. While driving on a road trip one day, I happened to be watching the utility road just off the freeway; noticing the curves and corners, and thinking how much fun it would be to race along a road like that. So I set out to duplicate a lot of that road in Bob's Track builder, and make a track that offered some fun corners and cool jumps. Hopefully you will agree thats it's a pretty fun track to run. Note: this track requires cars with a little more give in their suspension to really work well. The Lienz Festival cars work really well on this track. Please don't make any changes without contacting me first! There are currently no setups for Baurs Moor. Add a Setup. This track is designed as a WCORR RELOADED 2.5 race track using the exact layout of Watkins Glen road course. Great and very original track mate. Well done! Awesome! I love it with the WRC Subaru mod. Great fun! 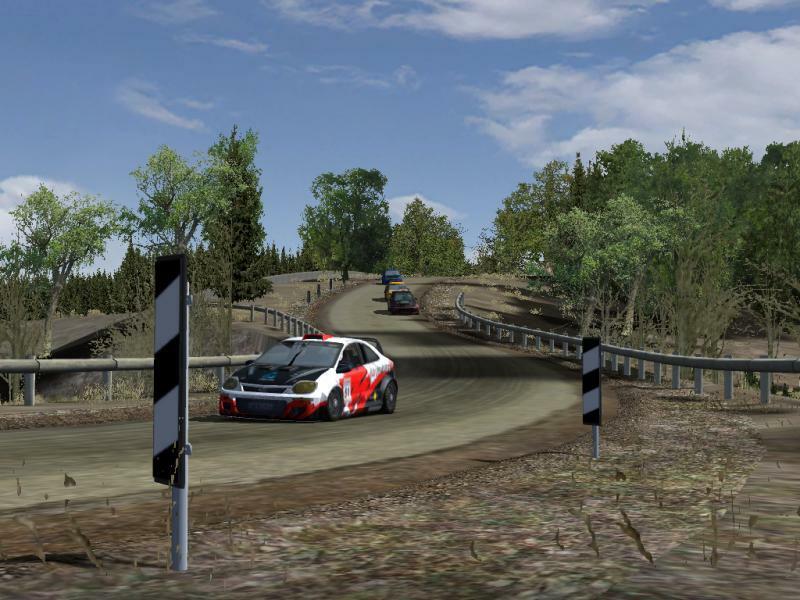 Realy Great job, fun track, So far I have been using wrx mod and have found no bugs Thanks. Where is the WRX mod? I havent found that and would like to try it. In offline cars pile up on the rails. The obstacle is in my opinion too difficult to cross at a low speed for AI. Nice track. Thanks Dingo. Please do more like this. A reversed direction version of this track would be nice too. its a fun track, and its well done. Definitively worth downloading.